Located on a cool, artesian-fed river, Little River Bluffs' 30 beautiful, wooded acres offer accommodations for those looking for a laid-back, serene retreat in a naturally preserved environment. Little River Bluffs offers the peace and beauty of nature with two secluded Louisiana Upscale Cabin Rentals from which to choose, with two additional accommodations coming soon! The River Chalet offers floor-to-ceiling views of the Lil' Tchefuncte River and wooded treetop views in the spacious, sleeping quarters found in the cedar loft. A beautiful outdoor deck hangs over the bluff with steps that lead into the river's edge for easy access. 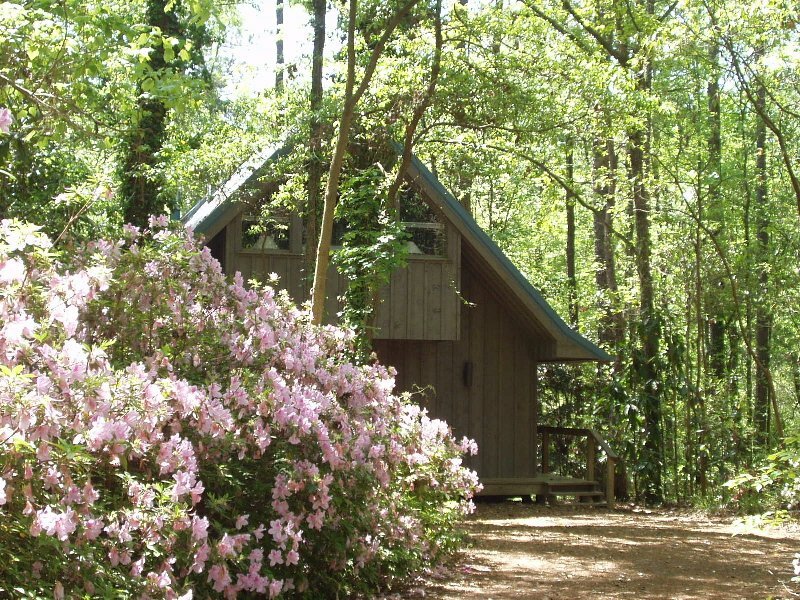 The Meadow Cabin tucked away in the heart of the piney woods and bamboo forest, offers an intimate private setting away from the rest of the grounds. This hideaway cabin decor includes an all cypress interior, private screened porch, outdoor shower and is situated near our stocked pond and wildflower meadow making this a favorite sunning and stargazing spot! 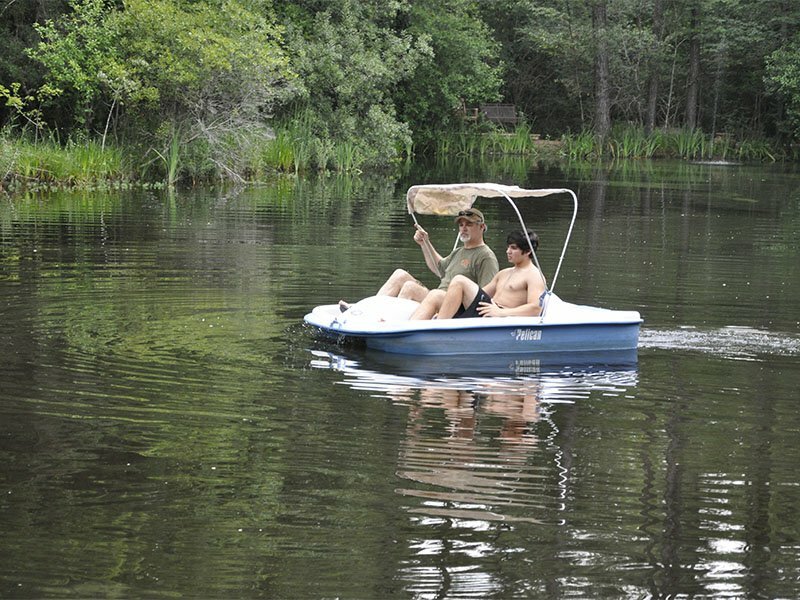 Our ground activities include: Kayaking or tubing down the river, hiking along shady nature trails in a wildlife habitat, swimming in the river or pond, playing horseshoes or croquet and fishing in the river or our stocked pond either off the deck or in our paddle boats. Nearby is beautiful downtown Covington offering a myriad of art galleries, shops, restaurants and a variety of entertainment venues. Just a few miles away, the unique Global Wildlife Refuge awaits you… a definite must see and yes, we have numerous local horse stables offering horseback riding rentals. Here at Little River Bluffs, you will find our lodging to be secluded with several accesses to the rivers edge, sandy beaches, pond and nature trails. We do supply kayaks for those looking for real adventure. This is a great environment for pets. We have decided to once again allow pets with a non-refundable pet fee. However, pets must be kept on leashes at all times while walking them on grounds and in kennels should you need to leave the cabin for an extended period of time. Here at Little River Bluffs, our passion is all about inspiring and educating our guest about the natural, native flora and fauna here in Southeast Louisiana. 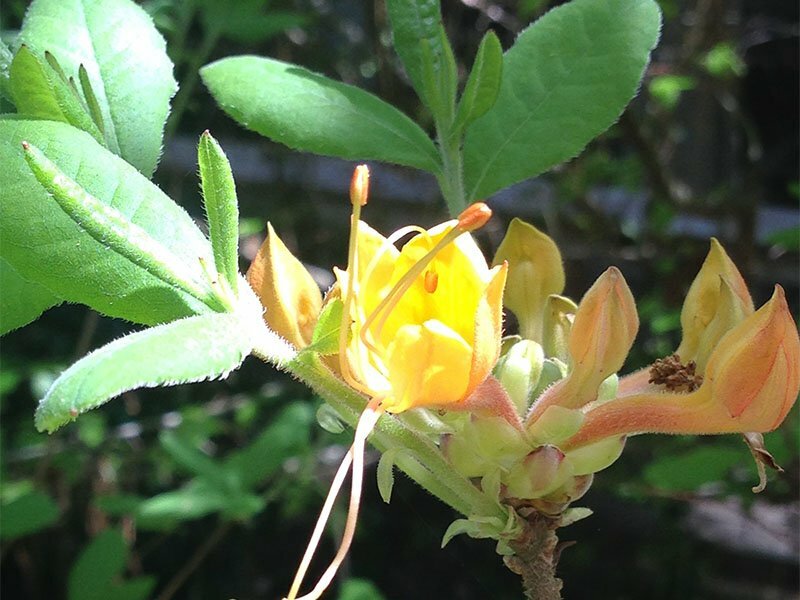 Little River Bluffs is an exceptionally special piece of property because of the bluffs and rare flora, such as the Silky Camellia, Wild Azalea, and the Carolina Lily just to name a few. Our commitment is to continually provide a soul-centered healing and restoration place for our guests. Nature can play a vital role in the healing of the human consciousness and harmony with nature, encourages soul-encounters that help develop qualities of authenticity, courage, honesty, compassion, humility, and patience. There is a great loss of these life-harmonizing qualities in our modern culture today but a trip to Little River Bluffs can help re-connect to nature, yourself or just spend quality time with family and friends. Little River Bluffs...not just a vacation, an adventure! Little River Bluffs… Not just a vacation… an adventure!